Picture yourself as a new entrant to a field of business who intends to launch a product which strikes the right balance between performance and cost-effectiveness. Just a week before the launch of your product, you get sued for infringement of a patent or a design by a better-placed competitor (“X”) who succeeds in securing an ex parte ad interim injunction which kills the launch of your product. During the course of the litigation, you manage to establish before the Court that X’s suit was malicious and false/vexatious i.e. it was instituted with the specific object of thwarting the launch of your product despite his knowledge that he had no real cause of action against you. Does the law address this situation? Now put yourself in the shoes of an IP holder, say a patentee, who discovers that a former licensee (“Y”) is continuing to sell the patented invention despite the termination of the license (which has not been challenged by the licensee). Upon being sued, the former licensee Y contests infringement knowing fully well that his product is identical to the product that was sold by him during the subsistence of the license. Further, Y challenges the validity of your patent on multiple substantive grounds despite having satisfied himself of its validity prior to obtaining the licensee from you. You, the patentee, ultimately convince the Court of the false/vexatious nature of Y’s defense of non-infringement and patent invalidity (notwithstanding the fact that Section 140 of the Patents Act does not prohibit Y from the challenging your patent’s validity). Does the law address this situation? 35A. Compensatory costs in respect of false or vexatious claims or defenses. (1) If any suit or other proceedings including an execution proceedings but excluding an appeal or a revision, any party objects to the claim of defence on the ground that the claim or defence or any part of it is, as against the objector, false or vexatious to the knowledge of the party by whom it has been put forward, and if thereafter, as against the objector, such claim or defence is disallowed, abandoned or withdrawn in whole or in part, the Court, if it so thinks fit may, after recording its reasons for holding such claim or defence to be false or vexatious, make an order for the payment the object or by the party by whom such claim or defence has been put forward, of cost by way of compensation. Provided, further, that the High Court may limit the amount or class of Courts is empowered to award as costs under this Section. (3) No person against whom an order has been made under this section shall, by reason thereof, be exempted from any criminal liability in respect of any claim or defence made by him. 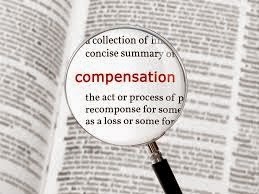 (4) The amount of any compensation awarded under this section in respect of a false or vexatious claim or defence shall be taken into account in any subsequent suit for damages or compensation in respect of such claim or defence. A reading of the provision makes it clear that the remedy of compensatory costs is equally available against a plaintiff’s false/vexatious claim and a defendant’s false/vexatious defense. However, what renders the remedy illusory is the paltry amount of INR 3000 prescribed as the upper limit. This defect in the provision has been pointed by the Supreme Court in several decisions and has been the subject-matter of cogitation by the Law Commission of India in its 240th Report. (1) Ceiling limit of Rs. 3,000/- prescribed in the year 1976 needs to be enhanced to Rs. 1,00,000/-. (3) The expression ‘exemplary’ should be substituted for the word ‘compensatory’ wherever it occurs in Section 35-A.